Parents will be held accountable when their children don’t go to school under tha review of the Education Act. Minister for Education, Heritage and Arts, Mahendra Reddy said the review would see a formation of a committee that will deal with parents. He said when education was free it was the duty of the parents or guardians to see their children were sent to school every day. He said it was sad that with Government’s free education policy, some children were still not attending school. The new education committee, he said, would summon parents or guardians whose children were not attending classes. He said they would be asked to explain why the children under their care were not attending classes. He said the committee would deal with the parents. He said the new Education Act would also outline disciplinary procedures to be followed. Mr Reddy said education was one of the most serious commitments Government made to improve the lives of Fijians. Prime Minister Voreqe Bainimarama had earlier said that he was personally more proud of Government’s free schooling programme than anything else it had ever done. “We want to secure a better future for our children and our children’s children and we believe that improving access to education all the way up to the university level is one of the best ways to achieve this,” he said. Before, he said a child usually dropped out of school because of financial constrains in their family but this was not an issue now. 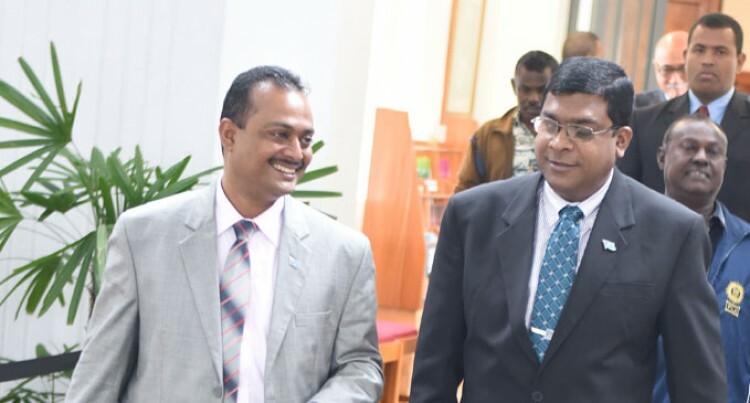 Dr Reddy said that Government was already beginning to see the benefits of providing free tuition to all primary and secondary school students in terms of increased enrollment and better attendance.